AirTel is one of the top 4 telecommunication company in India in terms of subscriber and is currently providing the highest 4G internet speed across many states of India. AirTel India is expanding the 4G coverage all over India and soon you will find it in each and every state. If you are searching for AirTel 4G Prepaid & Postpaid Plans which you can customize for 0 wastage of money then you are at right place. In this post we are providing you all information about AirTel 4G network speed, tariff plans, free 4G data offers and much more. According to TRAI (Telecom Regulatory Authority of India) Speed Test, AirTel 4G is ranking at 1st position with the average 4G speed of 9.27 Mbps. This is average and highest speed after calculating speed tests from all over India. After AirTel, Vodafone and Idea comes holds the second and third spot. Download a song in a second. So first of all below we are listing every topic which is going to be covered in this post like how to get your free 4G SIM, what are the working AirTel free 4G data offer, AirTel 4G Plans for prepaid and postpaid customers, where to buy AirTel 4G Hotspot and much more. At present AirTel 4G SIM card price is 0 (Zero). As a promotional offer, AirTel is providing free upgrade to 4G SIM by simply providing your details & shipping address on AirTel India website. AirTel 4G SIM activation procedure will be done after you receive the SIM. So if you have a 4G enabled device and you are using 3G Internet on it then here is the best opportunity for you to grab 4G SIM and get high-speed 4G Internet at 3G data price. Airtel is providing you 4G SIM by just entering your name, mobile number, your city, and the shipping address with the postal code and they will deliver your 4G sim card to your doorstep for free. 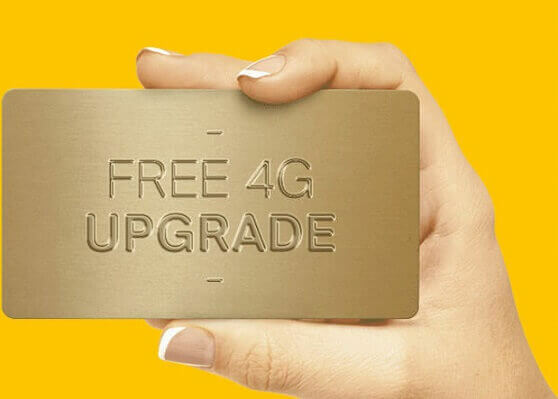 Additionally, you can choose any plan from myPlan options, or simply enjoy 4G speed with your existing 3G plan. You can also get 4G SIM at your nearest retailer or Airtel store for free and experience high-speed internet on India’s widest 4G network. Switching to a 4G SIM takes less than 10 minutes! Airtel Latest Plans and offers for August 2018 are here. Check out the new plans and offers available for AirTel Prepaid Customers. Know the best offers available on your number. Know All the 3G/4G Plans on Airtel in a single post. Now, no need to search for different plans and offers for Airtel. Get all the offers and Plans available for prepaid users on the single page. In this post, you will get the latest plans and offers on Airtel. This is the cheapest or the base plan in the list of daily recurring plans. In this plan, you will get 1GB 3G/4G Data per day for 28 days. Along with data, you will also get free STD + Local Calling free. Roaming is also free. As usual, you will also get 100SMSes per day. Note- This plan may not available on your Number. So, first check your offer on your number then do recharge. Here is another plan which will offer you 2GB 3G/4G data per day for 28 days. This plan is quite a bit similar to Rs 148 Plan. The only difference in the data. In this, you will able to enjoy 2GB 3G/4G data daily for 28 days. Almost, everything is the same. Get free unlimited Local + STD call free. Zero roaming charges across the country. 100SMSes free per day. Airtel Rs 399 Plan is another option for those who consume on average 1GB of data per day. But this offer may or may not be available for you. It might be possible that Rs 399 plan is not available on your number. 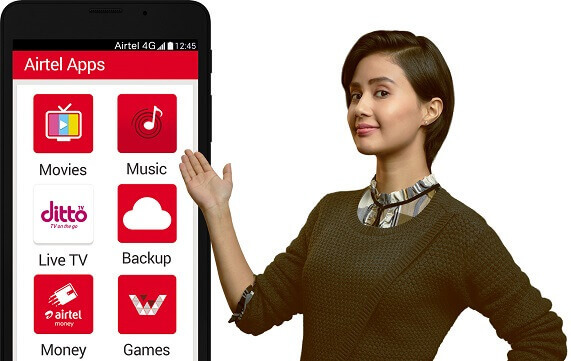 Airtel Rs 399 plan provides you with all basic service for free. Like free 100SMSes per day. Unlimited STD plus Local calling free. Also, zero roaming charge. Valid for 84 days. If you looking for a long time. Here is another data plan which is valid for 84 days. You can enjoy 1.4GB 3G/4G data per day for 84 days. This is the great thing about this. If your data usage is just average then this plan is best for you. As same to above two plans, in this plan also, you will get 100SMSes free per day. All STD and local calls are free. Roaming charges are zero across the country. Do you want a plan which provides you 2GB 3G/4G data per day for a long time? Here is the Airtel 499 Plan for you. In this plan, you will get 2GB data daily for 82 days. If you consume more data then this will beneficial to you. Also, enjoy unlimited calling, 100SMSes per day and Free roaming across the country. 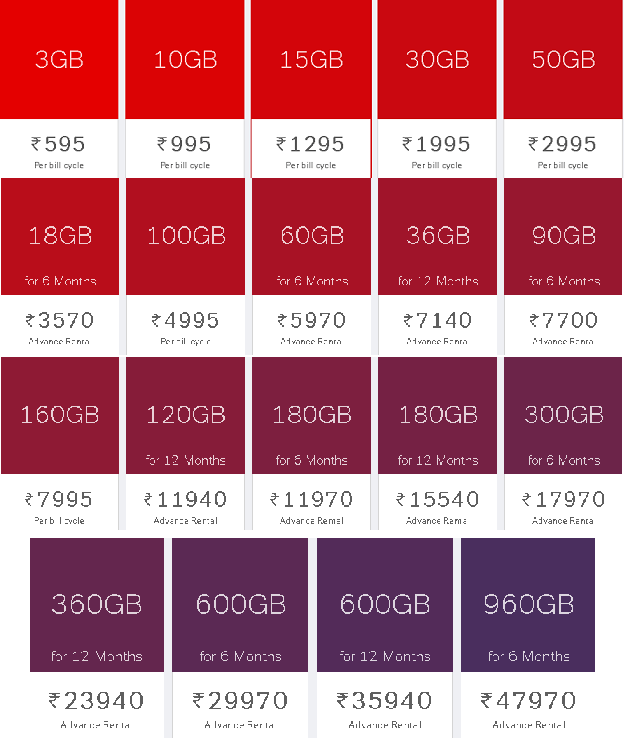 Consume comparatively less data than 1.5GB and want a plan for long term. Then there is the AirTel Rs 509 plan for you. In this plan, you can use 1.4GB 3G/4G data per day for 90 days. Also, get 100SMSes per day for free. No roaming charges in India. Unlimited STD and Local calls. Andhra Pradesh, Bihar and Jharkhand, Chennai, Delhi, Gujarat, Haryana, Himachal Pradesh, Karnataka, Kerala, Kolkata, MP and Chattisgarh, Maharashtra and Goa, Mumbai, North East, Orissa, Punjab, Rajasthan, Tamil Nadu, UP East, UP West and Uttaranchal. Below we are listing all 4G plans & offers for prepaid customers. These plans are almost same as normal 3G plan’s price and you will get high-speed 4G Internet speed at 3G price. These plan’s price may differ in other states so make sure to confirm or check airtel.in/4G/ before going for 4G recharge. For postpaid customers have many exciting 4G plans & offers which are little bit different according to state. Below we are sharing plans for few major states but we are attaching a link where you can find all plans for your state by choosing your state from drop down menu. So finally comes the turn for AirTel Free Internet Data Offers for the customers who are using 4G enabled handsets. Some offers are completely free of cost and for some you have to make a recharge in order to get additional benefits apart from the plan benefit. So to cope up with Jio 4G and free calling offer, AirTel has now launched 2 bundle packs which are priced Rs. 145 & Rs. 345. This offer is valid for Airtel prepaid customers who can do unlimited Local & STD Airtel to Airtel free voice calling. After the effect of Reliance Jio, Airtel recently launched this offer for new 4G mobile handset users in which on doing a recharge of Rs. 259 the user will get 1 GB 4G Internet Data instantly and additional 9 GB 4G data can be claimed from MyAirtel mobile app. This offer is valid only for new 4G smartphone and offer needed to be availed within 30 days. How to get 10 GB Free Airtel 4G Data? Get AirTel 4G SIM from above method. Insert it in your new 4G enabled smart phone. You will get 1 GB 4G data instantly. Download & Install MyAirtel app. Open app and login via OTP. Claim your additional 9 GB 4G Internet Data. If customer is using 4G enabled smartphone but living in a non-4G area then they will get 3G data with same benefits and after activation of 259 Plan, data will be valid till 28 days. Users can avail a maximum of 3 recharges within 90 days, on the offer and users can avail this offer within 30 days of the purchase of handset. Now this sounds amazing right? Just by giving missed call to a number you can get 1 GB of 4G internet data absolutely free. The main condition is that your phone and SIM must be 4G enabled. We have given more information about this offer in another post, so click below link. Recharge for any amount and get 200 MB free. Play Housefull 3 or any other premium movie on the Eros Now channel on Airtel Movies app and get 700 MB free data. Load Rs. 100 or more to your Airtel money account and get 500 MB data. Play more than 10 songs on Wynk Music app to get 700 MP internet data. Download Taling Tom, WarTanks or any other game on Wynk Games App to get 500 MB data. Recharge for more than Rs. 100 and get 300 MB free. Send Rs. 100 or more from Airtel money to anyone and get 500 MB free data. There are few more easy tasks to get Airtel free internet data which totals to 5 GB. This data can be used within 28 days after getting and is valid only in night hours that is 12 – 6 AM. This offer is also termed as Airtel Jackpot Offer which we have already shared in a blog post. Get 15 GB 4G Data + 15 GB Extra @ Rs. 1495 with validity of 90 days. Open MyAirtel app and check “Just For You” section. If you are lucky you will get exciting offers like 1 GB 3G/4G data for 5 days @ Rs. 101 recharge. 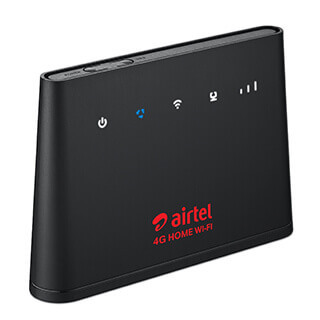 AirTel 4G Hotspot is a WiFi hotspot which works on battery which lasts up to 6 hours and at a time you can connect 10 devices to access 4G Internet. If you are going to buy Airtel 4g hotspot and moving some other place then make sure your area has 4G network coverage because Airtel 4G is available in many states but not in all inner cities or areas. AirTel 4G Dongle is a plug and play device which is more portable and there is an Micro SD card in it which can be used as a memory stick. Price of Hotspot device is Rs. 1,950 and Price of Airtel 4G Dongle is Rs. 1,500. Now we are going to list Airtel 4G Hotspot & Dongle Plans below in which some are unlimited and some are with limitations on speed or data. With Airtel 4G Home WiFi you can experience lightning fast 4G speeds on all your devices at home, without the wiring hassles. 4G Home WiFi can connects to all devices such as laptops, smartphones, gaming consoles, smart TVs and security systems which are WiFi enabled. You just need to plug this in any socket at your home or office and can connect up to 32 devices. Important Note: These plans work only with 4G Wi-Fi Routers. Charges of 20p/ MB applicable beyond reaching the built-in quota (till the bill cap amount). We have covered almost each and every aspect regarding AirTel 4G and hope you find this post informative. Kindly share this with your friends and mates via any social network like Facebook, Twitter, Reddit, Whatsapp, etc.If You need help please comment below. Awesome Post Abhishek !!!!!!!!! All in One. Great Job.